Already several hundred end-users across Europe have received their Mackie DL 16s and 32s or will have in the near future. These brand new digital mixers require the new Mackie Master Fader app V5.0 which you can download right now in the Apple and Google Play stores! Watch their livestream from yesterday here. Master Fader is incredibly powerful, fast, and customizable – all while being easy enough to open it up for the first time and feel at home. And with each free update, it is only getting better with new features, capabilities, refinements, and more. With upcoming releases of Master Fader, users will have more choices than ever on how they can control their DL Series mixer on up to 20 devices simultaneously. 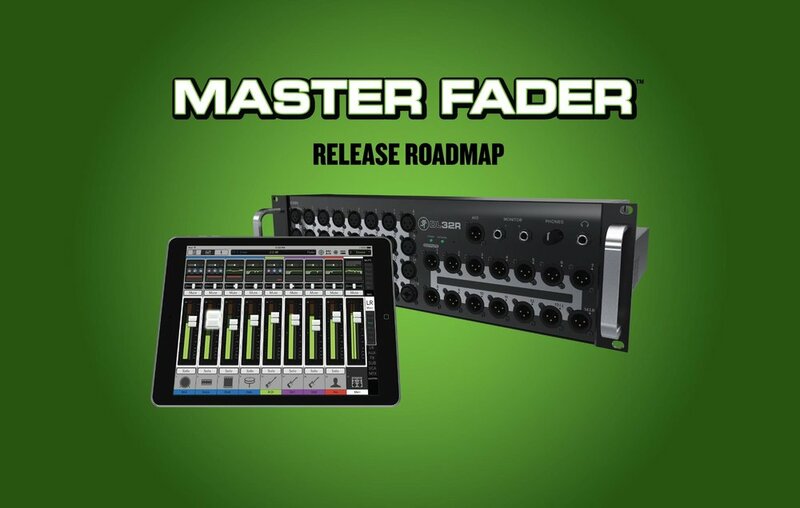 Adding Android™ support means virtually anyone can download the Master Fader app on devices they already own. Coming soon in version 5.1, we will be adding support for MacOS™ and Windows™ which opens up the control possibilities for engineers, installations, and more. A whole new suite of FX plus a refreshed interface makes it easier to choose the type and see what is currently assigned. Add more depth to your mix and performances with chorus, flanger, rotary, auto-filter, and much more. DL32R is getting a major upgrade with the addition of another FX processor for a total of 4 different FX running simultaneously. DC16 is getting the ability to create 8 fully user-assignable buttons plus an assignable encoder per channel. To keep settings and mixes from accidental changes, the entire console can now be locked, perfect for multi-user applications. Snapshots are one of the best benefits of a digital mixer and are a great way to instantly change your mix on the fly, and now you can switch with the single push of a button, perfect for theatres that require multiple changes throughout a show. Check out the complete feature list here!